In one way or another, meat appears on the table in most homes, providing good nutrition. There are different ways of cooking meat Most tender cuts are best cooked by dry heat: roasted or cooked on a rotisserie, broiled or grilled, pan-broiled or pan-fried. Less tender cuts should be cooked slowly in moist heat: braised or pot-roasted, or cooked in liquid. 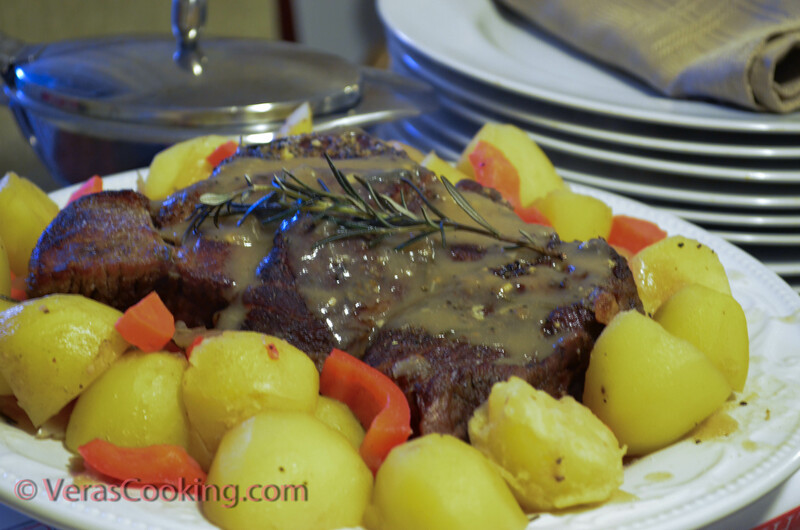 A Pot Roast offers one way to cook a tough cut of meat such as beef chuck or lamb or veal shoulder. The meat can be marinated for added flavor. Remember, cooked braised or simmered meat should be fork-tender. Rub olive oil onto roast. 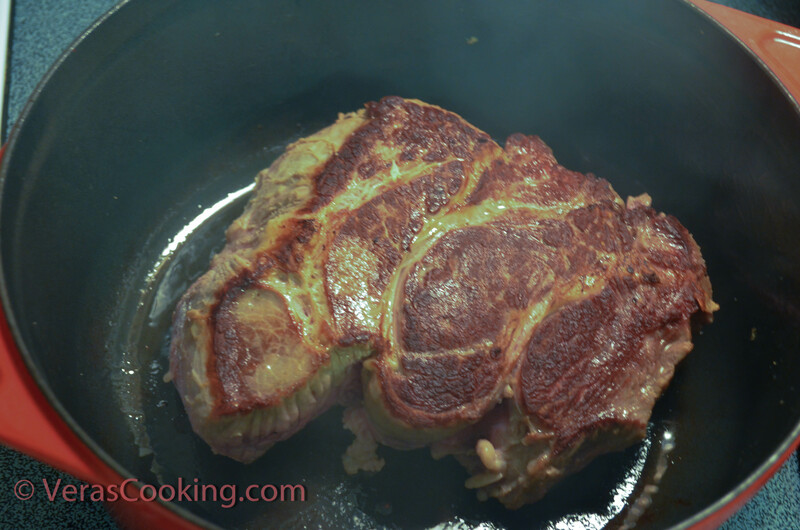 In Dutch oven over high heat cook pot roast until it is evenly browned on all sides, about 5 minutes on each side. 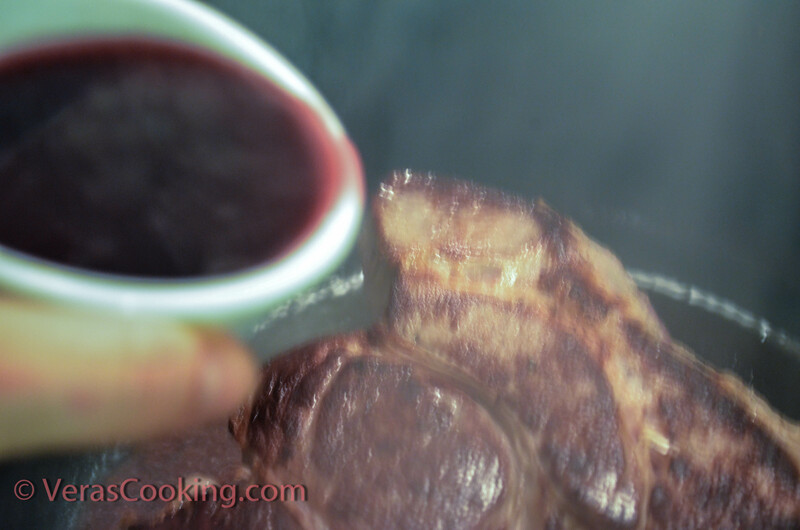 Deglaze with red wine. 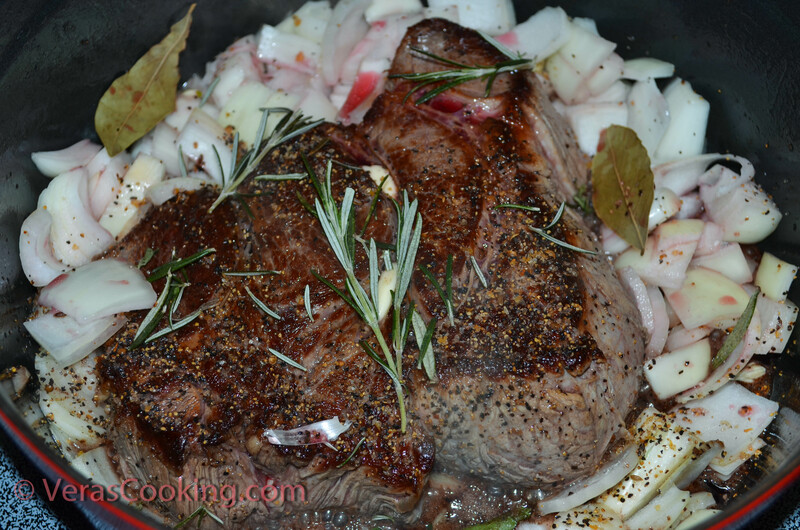 Add 2-3 cups water, spices, onion, garlic, bay leaf, rosemary, and bring to boil. 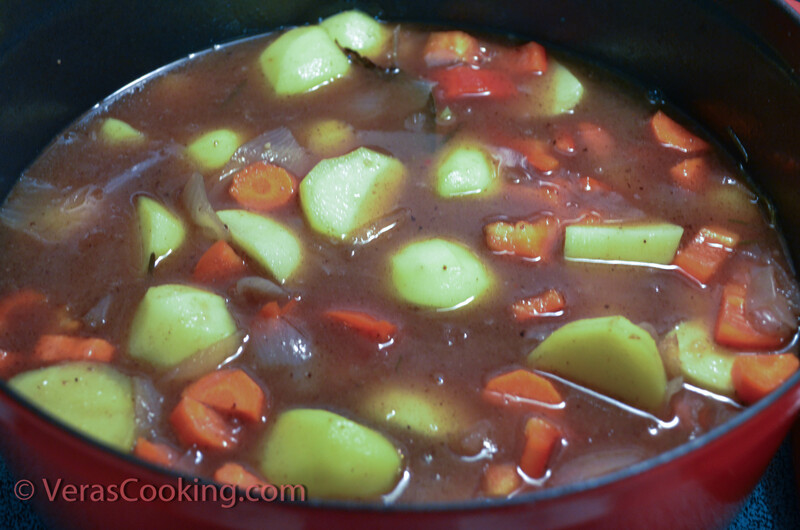 Reduce heat to low, cover Dutch oven and simmer for 3 hours or until the meat is fork-tender. After the meat is done, transfer it to a platter. Reserve 1 cup of broth in a separate saucepan. 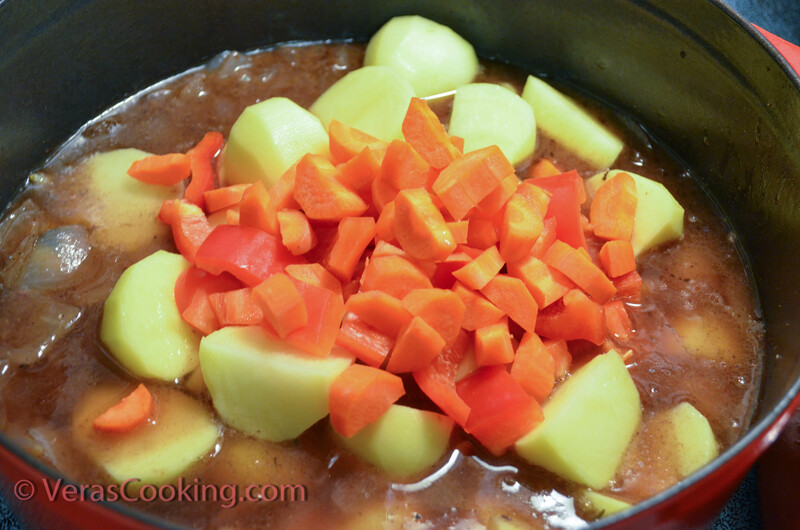 Add potatoes, carrots, peppers in your Dutch oven, bring to boil, and cook for 15 minutes until potatoes are tender. You can season potatoes with salt if you want to. I used about 1 teaspoon extra. 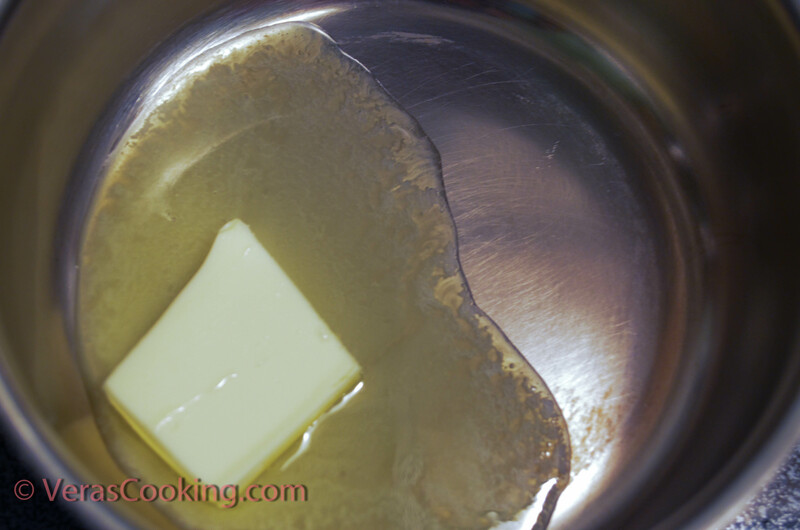 Meanwhile, in a separate saucepan melt butter. 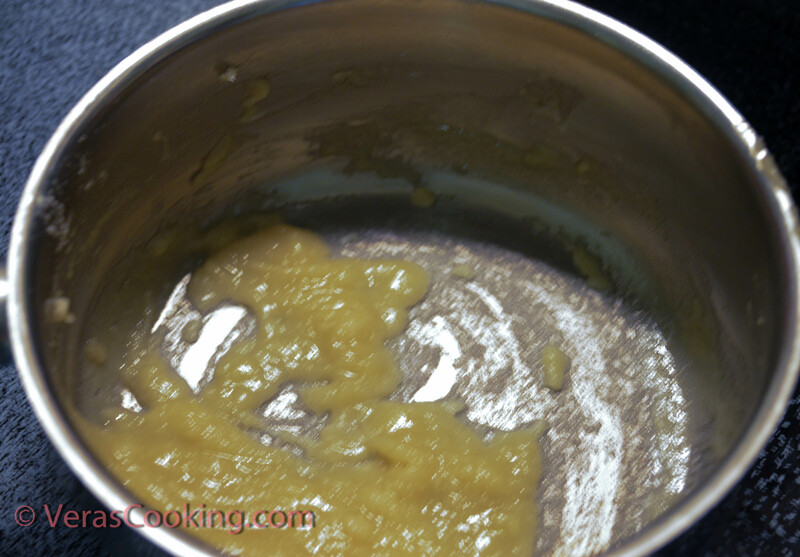 You can also use a fat from meat broth if you have any. Gradually stir in water or broth. Season if needed. When potatoes are ready, transfer them to a platter. Now you can blend the rest of vegetables in a blender on high speed. (I didn’t blend the veggies, this step is optional. If you choose not to blend, take the vegetables out together with potatoes, and then thicken the gravy.) Return the blended mixture to the Dutch oven, thicken with the flour mixture, heat to boiling. 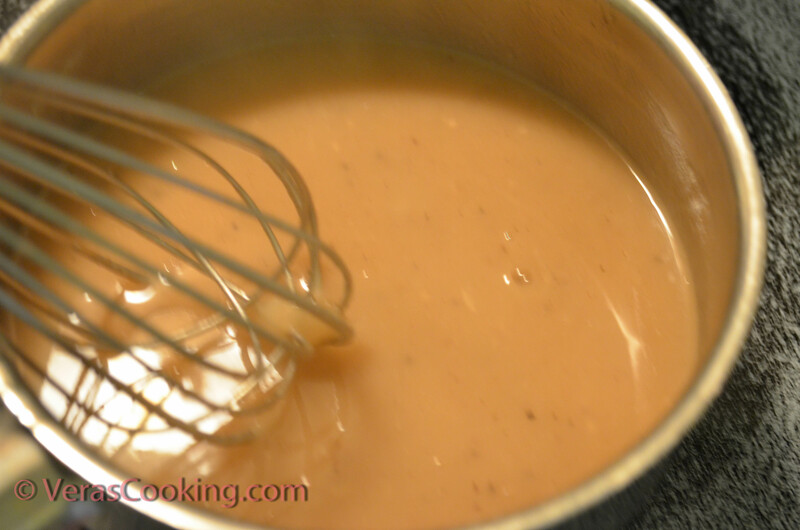 Garnish the roast and serve with the hot gravy. Meanwhile, in a separate saucepan melt butter. You can also use a fat from meat broth if you have any. Add flour. Gradually stir in water or broth. Season if needed. When potatoes are ready, transfer them to a platter. Now you can blend the rest of vegetables in a blender on high speed. (I didn't blend the veggies, this step is optional. If you choose not to blend, take the vegetables out together with potatoes, and then thicken the gravy.) Return the blended mixture to the Dutch oven, thicken with the flour mixture, heat to boiling. Please let me know if you have any questions. 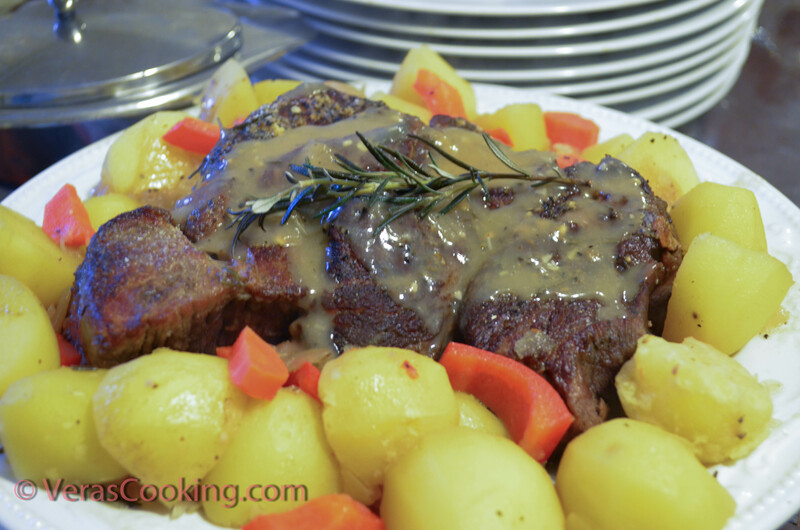 Also, If you make this Pot Roast, please share how it turned out for you. What did you serve it with? 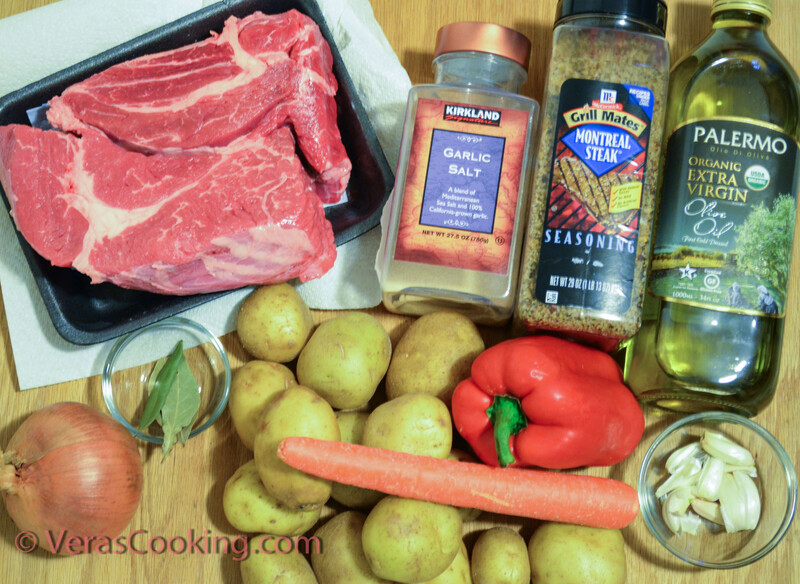 I absolutely love potatoes, what’s your favorite side that you serve your meat with?